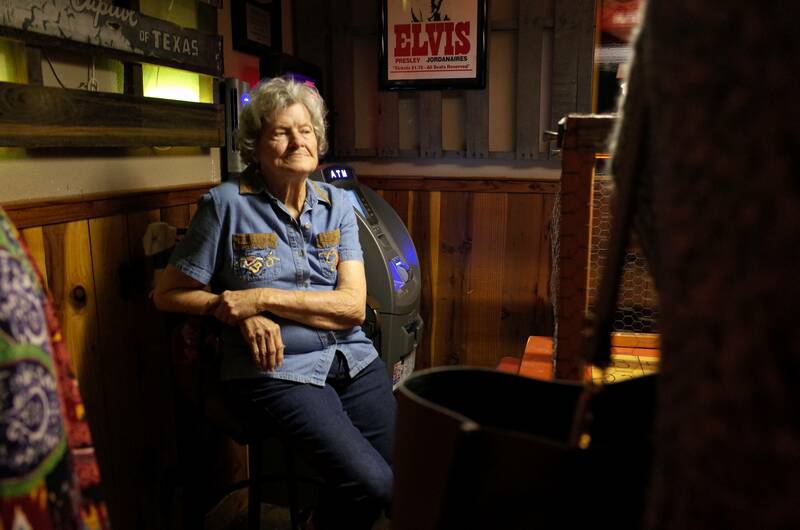 Ginny Kalmbach relaxes inside the Little Longhorn Saloon, an establishment that she founded over two decades ago. 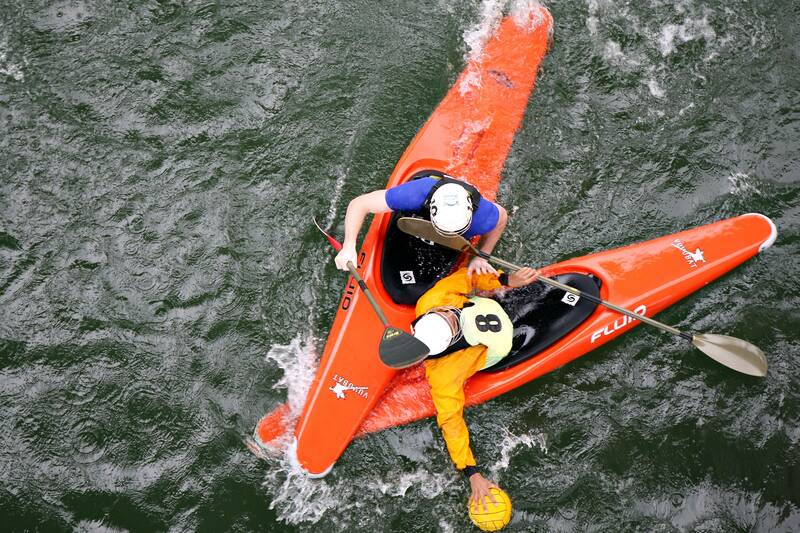 Two kayak polo players compete for the ball at Lady Bird Lake under the MoPac bridge on Sunday afternoon. 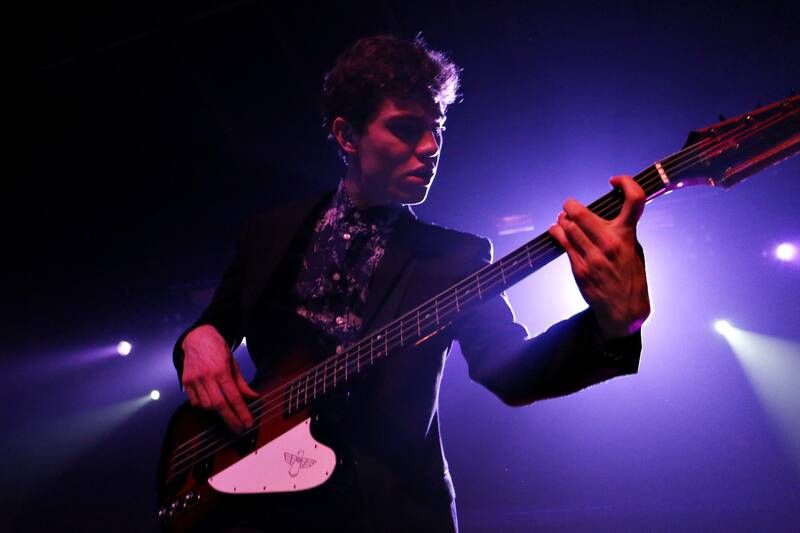 Noah Sierota, the bass guitarist for Echosmith, performs at Emo's East on Sunday evening. 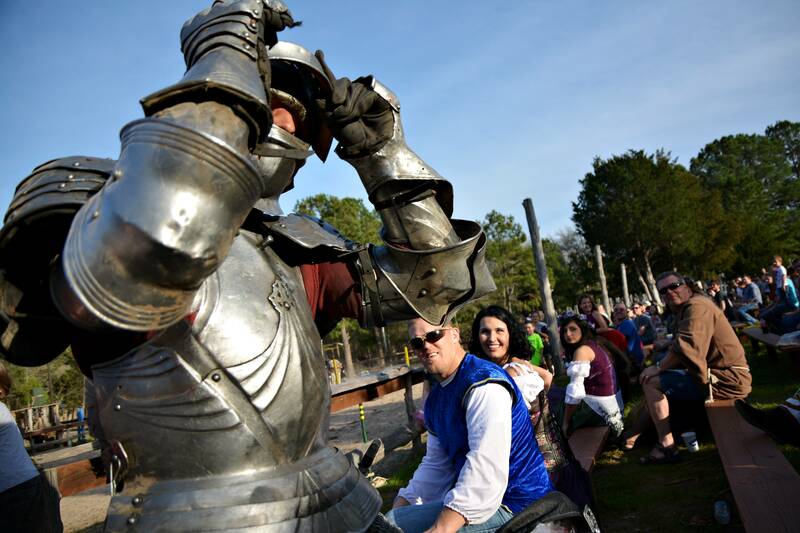 A professional jouster performs at the Sherwood Forest Faire in McDade, Texas on Saturday.